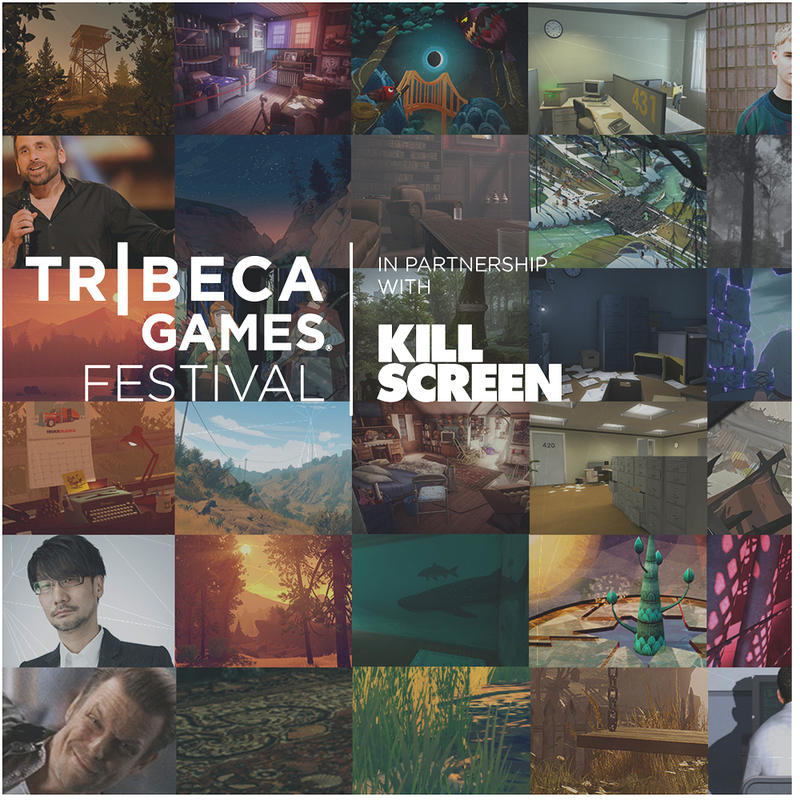 Tribeca Games and Kill Screen have partnered to launch the Tribeca Games Festival, an event that will bring together New York City’s passionate gaming community to examine where games have been and what comes next in the race to innovate in the world’s most popular medium. Sitting at the intersection of games, entertainment and culture, the festival will include behind-the-scenes looks back at some of the most fascinating games of the past year, and conversations with cultural leaders and game industry insiders, including a conversation with legendary game creator, Hideo Kojima. The inaugural Tribeca Games Festival will take place April 28-29 during the Tribeca Film Festival at The Tribeca Festival Hub at Spring Studios. Tickets are on sale now at www.tribecafilm.com/games. The Tribeca Film Festival, presented by AT&T, runs April 19-30. WORD Senior Editor and Special Correspondent James Kelly will be covering this special. 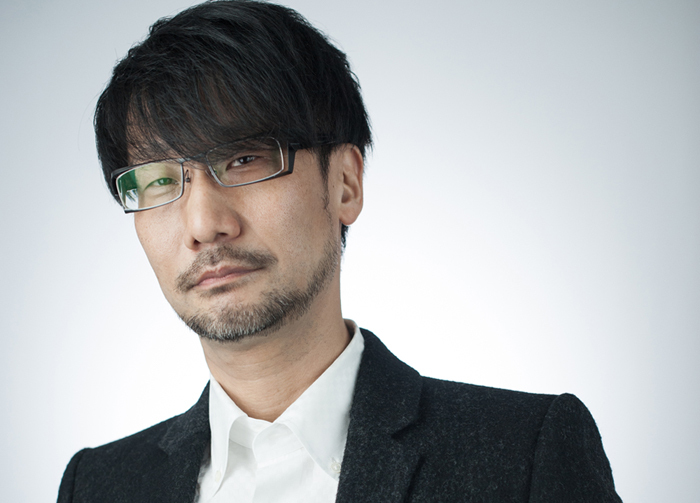 Hideo Kojima is widely celebrated as the godfather of the stealth action game genre, having created the Metal Gear franchise 30 years ago this July. He was awarded the Game Developers Choice Awards’ Lifetime Achievement Award in March 2009, inducted into the Academy of Interactive Arts and Science’s Hall of Fame in February 2016 and, most recently received The Game Awards’ Industry Icon Award this past December. Hideo Kojima leads a robust schedule of conversations to take place at the Festival, including additional keynote conversations given by Quantum Break, Alan Wake and Max Payne creator Sam Lake and BioShock director/writer Ken Levine, a celebration of the 25th anniversary of virtual reality-themed movie The Lawnmower Man with filmmaker Brett Leonard, principal filmmaker for VR at Google Jessica Brillhart and Cy Wise from Job Simulator‘s Owlchemy Labs, and discussions with developers of recent and upcoming games such as Overwatch, The Banner Saga, Firewatch, The Stanley Parable, Watch Dogs 2, What Remains of Edith Finch and several more. The festival will kick off with the New York premiere of Telltale Games’ first-ever crowd play of Marvel’s Guardians of the Galaxy: The Telltale series, Episode 1 and a concert headlined by British electronic producer and multi-instrumentalist Mura Masa. Fresh off a Coachella performance, Mura Masa will light up the Tribeca Festival Hub at Spring Studios with the sounds of the future, bringing his Billboard-topping music to an audience of over 500. The Tribeca Games Festival program includes “X Post Conversations,” a series of cross-cultural conversations, each pairing a creator from the gaming community with someone of equal stature from an outside field; “Retro Active,” a series of talks that take a look back on some of the greatest titles from 2016, exploring every element from art, design and sound to storytelling; “Sneak Peeks,” previews of new and unreleased work from some of the most dynamic independent game studios from around the world, and an interactive arcade allowing attendees to get hands-on with new and unreleased games. Full details about all confirmed sessions and participants can be found now at www.tribecafilm.com/games. Additional speakers and game titles will be announced soon. “The Tribeca Games Festival in partnership with Kill Screen will bring tech thinkers, fans, and interactive makers together with New York’s massive games and interactive community for a marquee program dedicated to the medium of play,” said Jamin Warren, founder of Kill Screen. Tickets for the Tribeca Games Festival are $40 opened for sale March 29, 2017, check here atwww.tribecafilm.com/games. Tickets for opening night are sold separately for $30. A limited amount of tickets that include an entry window for Tribeca Immersive, the Tribeca Film Festival’s event for virtual reality and interactive installations, will also be available for $70. In 2011, Tribeca was the first film festival to welcome gaming to the official program with the World Premiere of L.A. Noire, a detective-based Xbox 360 and PlayStation 3 (PS3) game. It has continued to support artists in the gaming world with the premiere of Beyond: Two Souls, a PS3 fantasy role-playing game led by Oscar® nominee Ellen Page (2013); a panel series on innovation and storytelling in gaming with League of Legends’designers, artists, producers, and musicians (2015); a partnership with Games for Change that illustrated how new and innovative platforms can serve the social good with participants including Morgan Spurlock, Pulitzer Prize-winning authors Nicholas Kristof & Sheryl WuDunn (A Path Appears), Chief Scientist of Oculus VR Michael Abrash, and the developers of Rovio’s blockbuster mobile game Angry Birds (2015, 2016); and more. Intimate conversations some of the top game creators on the future of games and storytelling. A conversation with the legendary game creator, Hideo Kojima. Director and Writer of the BioShock series, Levine reflects on his two decades in videogames and the legacy his work has created for interactive story-telling. The creator of Max Payne, Alan Wake and Quantum Break, on his unique approach to storytelling in games. Cross-cultural conversations, pairing a creator of the gaming community with leading artists and filmmakers. Giant Sparrow’s creative director Ian Dallas takes the stage to discuss his upcoming game, What Remains of Edith Finch. Combining a family drama with famous supernatural Japanese tales, he will discuss how creators are making mysticism relevant to the modern world. Robin Hunicke, founder of indie studio Funomena, and Baobab Studios CEO Maureen Fanshow how to create delight and joy in VR. By breaking down each title piece by piece – exploring every element from art, design and sound to storytelling – we take a look back on the some of the greatest titles from 2016. The Firewatch team at Campo Santo dissects their award-winning debut with a focus on narrative design with writer and studio director Sean Vanaman. Overwatch senior game designer Michael Chu discuss how characters come into being in one of the best-selling PC games of all-time. The Stanley Parable creator Davey Wreden on how he designs virtual spaces that are perfectly suited for his unique narratives and how that’s pushed him to explore the everyday. Watch Dogs 2 creative director Jonathan Morintackled issues like surveillance, the Silicon Valley housing crisis, and diversity in tech in their ground-breaking title. He’ll talk about how the team built a simulation where everything is connected. Celebrating the 25th Anniversary of The Lawnmower Man, a special conversation on how Lawnmower Man influenced a generation of digital creators and to how capture images of the future with the tools of today with Brett Leonard, director of The Lawnmower Man, Jessica Brillhart, Principal Filmmaker for VR at Google, and Cy Wise from Job Simulator‘s Owlchemy Labs. A preview of new and unreleased work with some of the most dynamic independent game studios from around the world like Might & Delight, Finji Games, and Giant Sparrow, and additional hands-on play with unreleased and newly-released titles.